"Star Lattice Nautique" Cement TileClearance! 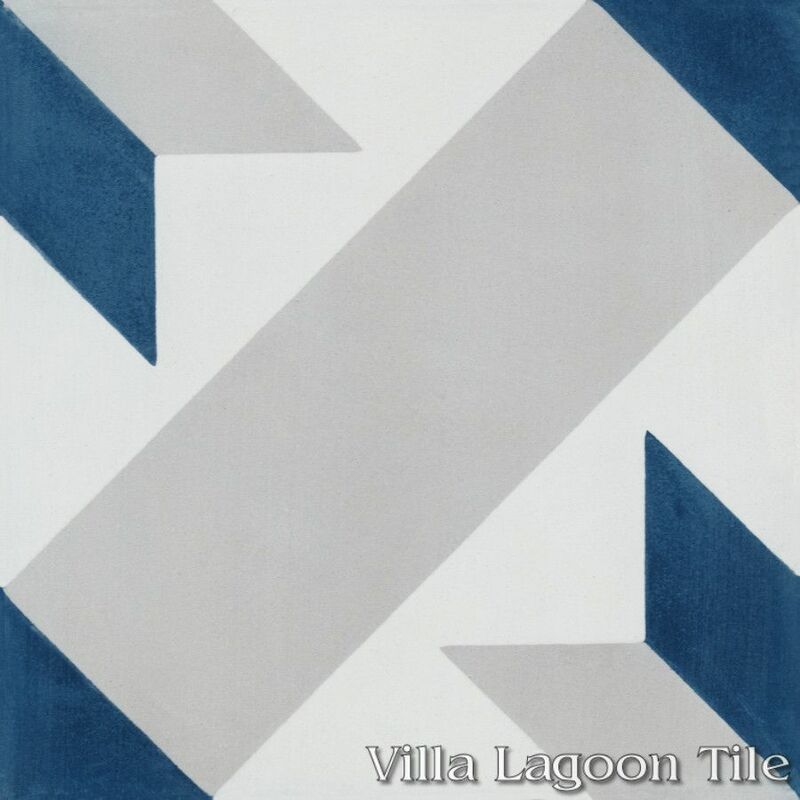 This is a 3-color 8" cement tile, using White, Putty and Deep Inlet from the South Beach Palette. 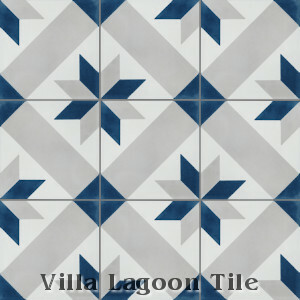 "Star Lattice" cement tile looks beautiful in our South Beach Palette blue, white, and grays. 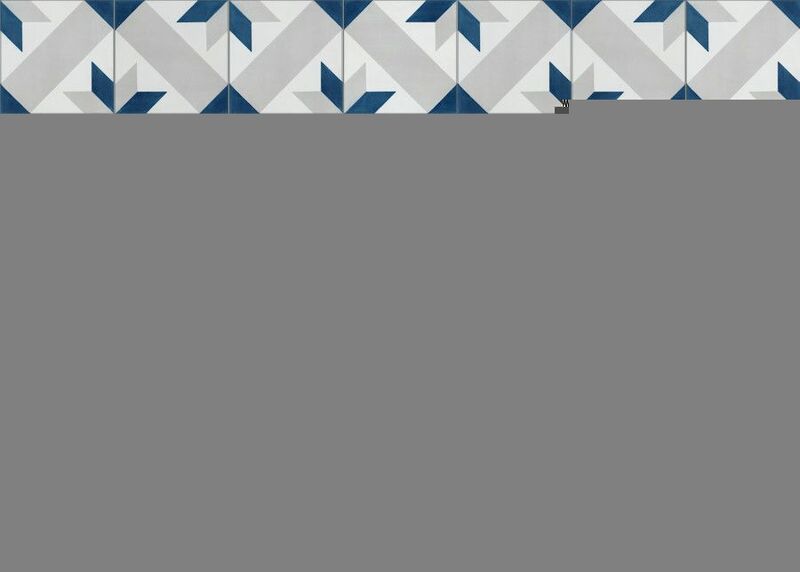 This traditional pattern features classic eight-point stars repeating within a lattice of stripes. We call this pattern and in-stock colorway "Star Lattice Nautique". 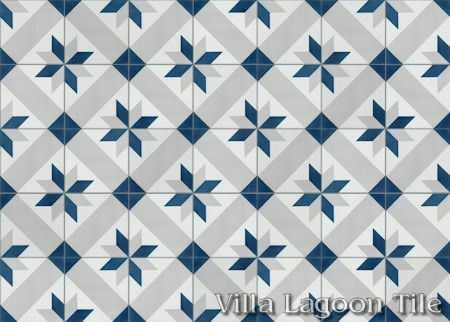 "Star Lattice Nautique", Lot SB-C09, Limited Stock Clearance Sale! 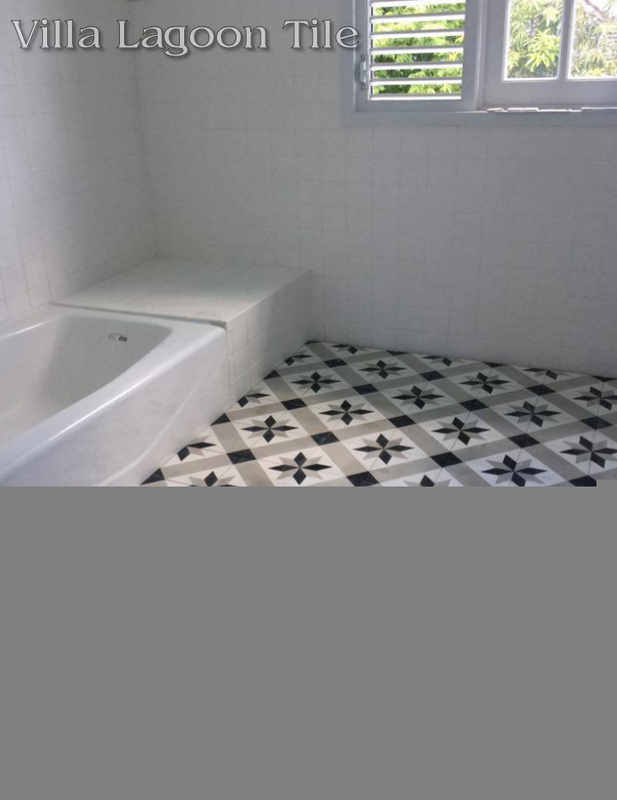 As with all of our tiles, you can have your choice of colors in about 10-14 weeks. 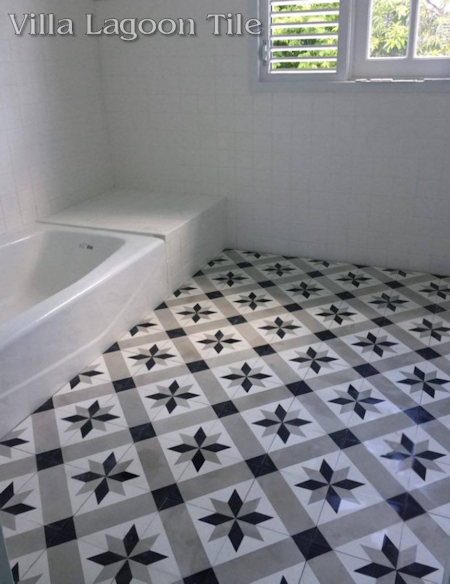 We produced this beautiful cement tile bathroom floor with custom-chosen black, white, and gray.